It’s been over a week now and still no electricity. The total outage is now below 50,000 from a peak of nearly a quarter million. I guess we’re just one of the unlucky ones. Our block is dark while all around us the lights are on. The din of generators drone 24/7 while we wonder why the hell our neighbor leaves it on all night. Somehow calling the police to complain about noise seems so menial. Work crews can be seen everywhere, but none ever stop on our street. Last week we cheered the white trucks with blinking yellow lights as if they were liberating Paris. Now we just grumble and wish they’d get over to our block. We’re making the best of it and learning to deal with life in the dark. Hot showers are the only source of heat so we enjoy a little morning sauna in my bathroom to start the day. Sleeping has been pretty comfortable– after the initial cold shock wears off– since we piled on about 40 pounds of blankets and two cats. Just don’t forget to have everything in place because you do not want to get back out of bed! 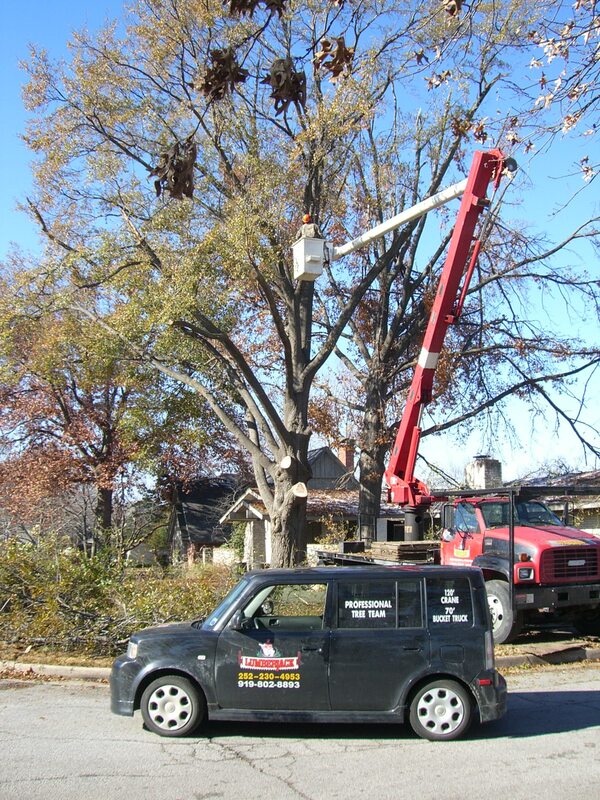 The good news is the weather forecast is for warmer weather and we’ve got a crew taking care of the tree situation. As a matter of fact the big oak that pummeled our roof is probably about gone as I type this. The pile of wood in the yard hides the house and it’s a real shame seeing all that beautiful oak wood that’s going to go to waste. 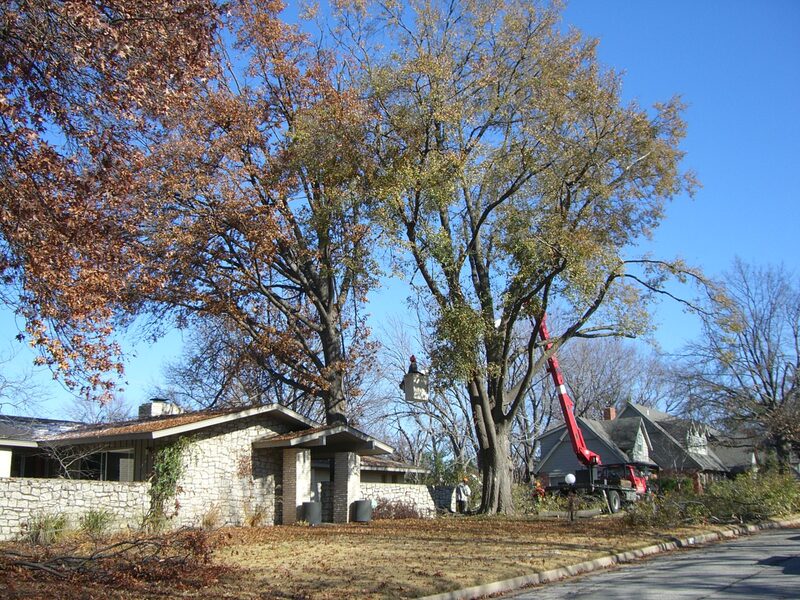 Getting the trees taken care of for a reasonable price was a big relief because there were some very large branches dangling over the roof. One branch fell on the garage Saturday when the north wind picked up during the brief snowstorm. At least we still have a roof over our heads. Next Next post: The Lights Are On! The Lights Are On!